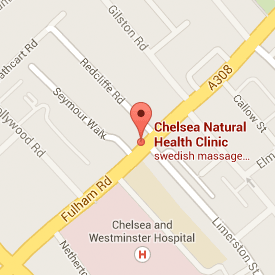 Preventative Shiatsu – let me teach you how to help yourselves by Jan Murphy MRSS Shiatsu Practitioner and Bodyworker at Chelsea Natural Health Clinic, Fulham Rd, SW10. It would be fabulous to work on building immune systems and boosting the digestive system therefore, aiding the body’s ability to function without dysfunction. Late Summer is here so let’s get you fine-tuned and able to just come back to see me every 4-6 weeks which is what I ultimately aim for with all my clients. Any questions or queries you may have get in touch – don’t be shy. I will be updating you all on a more regular basis as and when new information comes my way so do keep an eye out here at Chesleanaturalhealth.co.uk and Zenki.co.uk for information. I look forward to working with you all in the very near future and remember all treatment plans are personal to your diagnosis and help you work towards a bolder and brighter future.